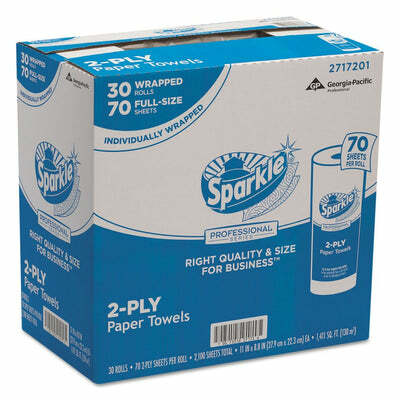 You can rely on Sparkle ps premium perforated two-ply paper towels to pick up big spills and messes. These thick, absorbent two-layer paper towels won't disintegrate when they soak up liquid. They are also useful for wiping off residue from cleaning products. 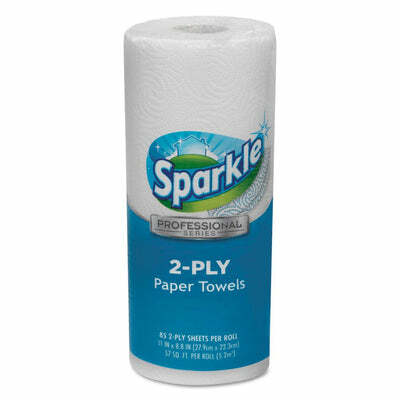 Sparkle ps premium perforated two-ply paper towels have two layers of paper for extra absorbency. They hold up even when you use them to soak up big spills. 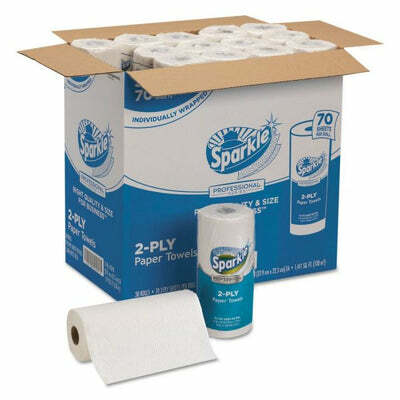 Sparkle ps premium perforated two-ply paper towels are perforated, so you can tear off as many sheets as you need without ripping the toweling. 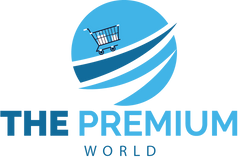 These towels are packaged in rolls of seventy sheets each, and they are shipped in cases of thirty rolls, so you'll always have plenty of paper towels to spare. 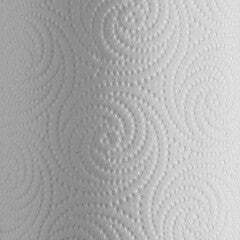 You can use Sparkle ps premium perforated two-ply paper towels to dry surfaces, including countertops and dishes, and clean up spills and messes. They are also ideal for when you need to apply or wipe off glass cleaners and other spray cleaners.